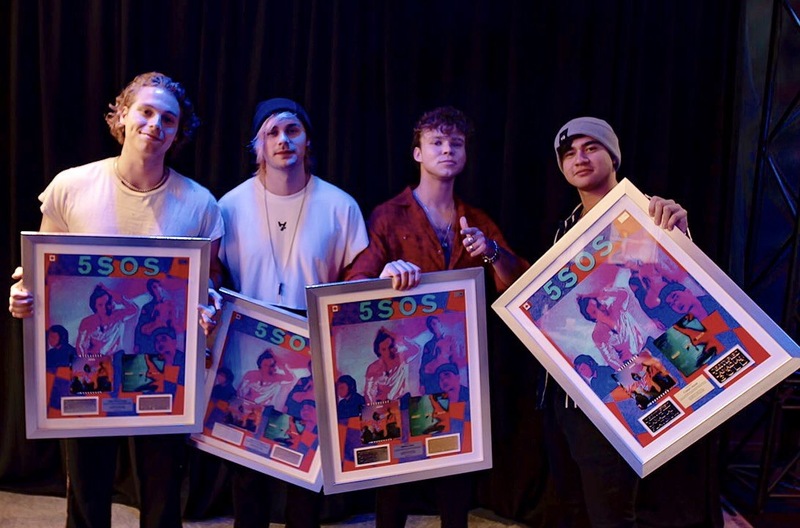 Youngblood, the 2018 studio album from @5SOS, is officially certified Canadian Gold! 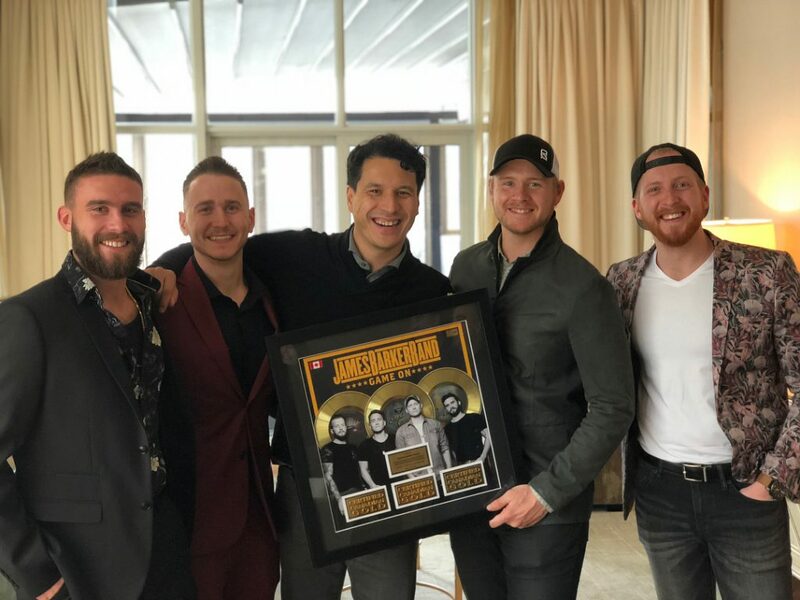 The album's title track has reached Platinum status, while the single "Want You Back" is Gold. Watch 5SOS’ performance of their Platinum hit “Youngblood” at the 2018 iHeartRadio MMVAs below. Prior to their shows in Toronto, the band opened for the Foo Fighters at Ottawa’s RBC Bluesfest and Quebec City’s Festival d’été. They will return to Canada in September for a run of shows in Vancouver, Calgary, and Edmonton. Watch the music video for “Highway Tune” below. 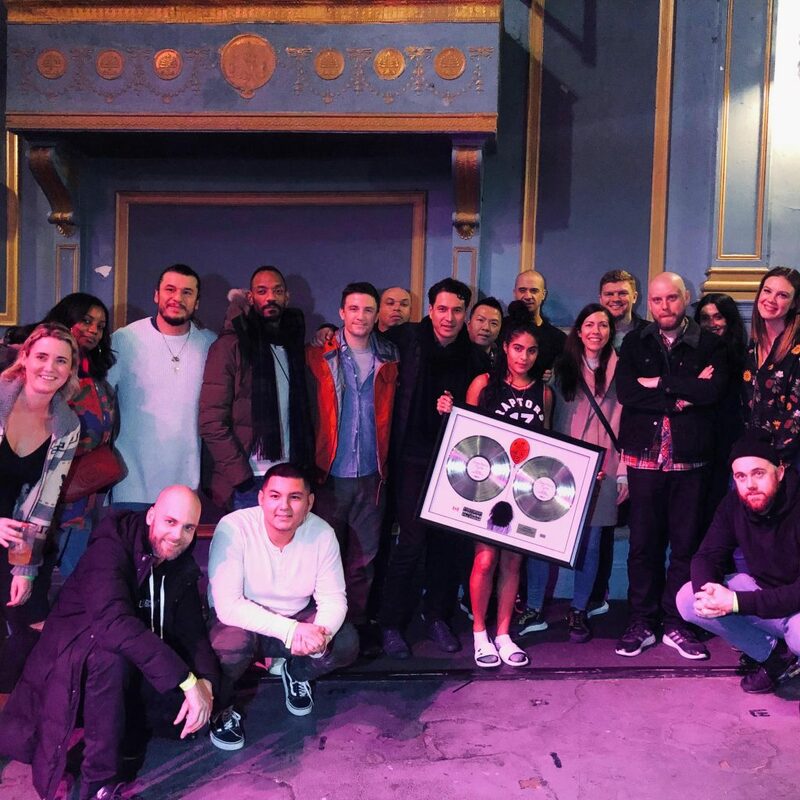 Ahead of his sold out show at Echo Beach in Toronto this week, American rapper Post Malone was presented with a Double Platinum plaque for his 2018 sophomore album beerbongs and bentleys by President/CEO of Universal Music Canada, Jeffrey Remedios. “rockstar (ft. @21savage)” is now rapper @PostMalone‘s highest Canadian certified single, officially earning a 9x Platinum certification! Post Malone was one of the top certified artists in Canada in 2017, with 8 tracks from his debut Double Platinum album Stoney earning Single Award certifications. Ontario-crafted country outfit James Barker Band had a sensational 2017, raking in two Canadian Gold Singles for tracks of their breakthrough debut EP Game On. 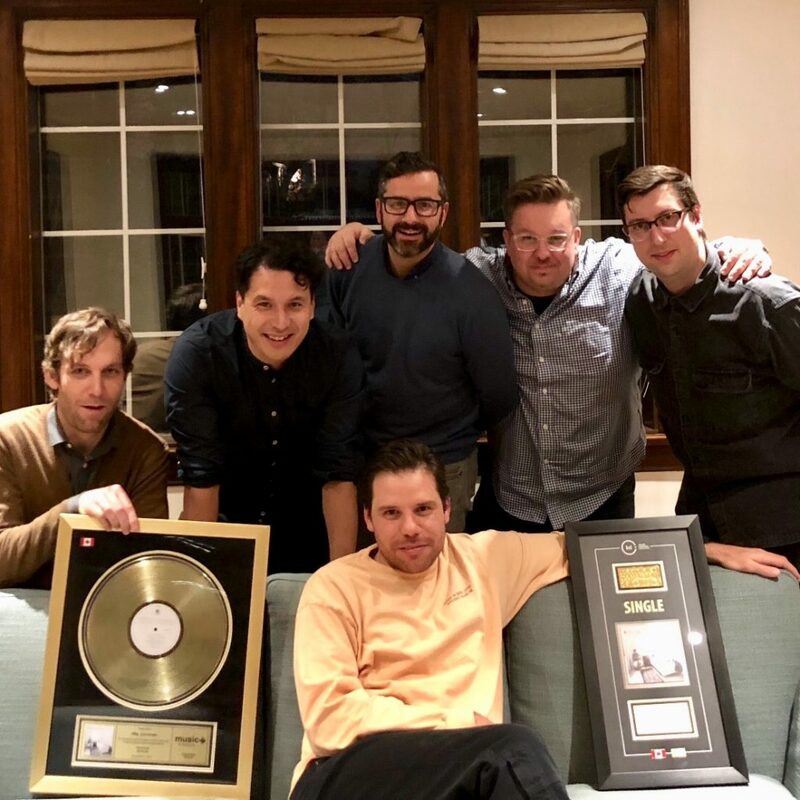 During JUNO weekend in Vancouver, the band was surprised by Universal Music Canada with a third Single Award plaque for the “Just Sayin.” The group also took home some more hardware from Vancouver, winning the JUNO for 2018 Country Album of the Year during the Gala Dinner and Awards, where they also performed. 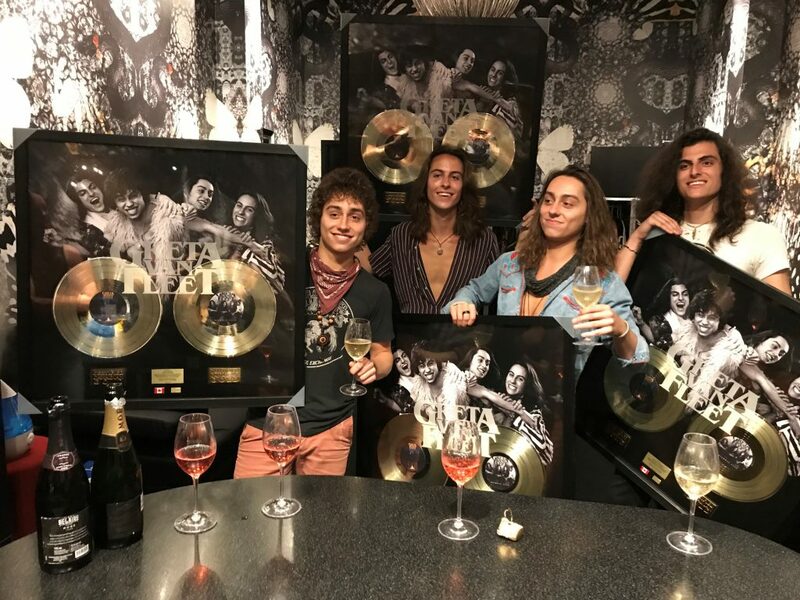 The band announced the news to their fan in an Instagram video, popping champagne while overlooking the beautiful Downtown Vancouver scenery. Watch the video for “Just Sayin'” below. 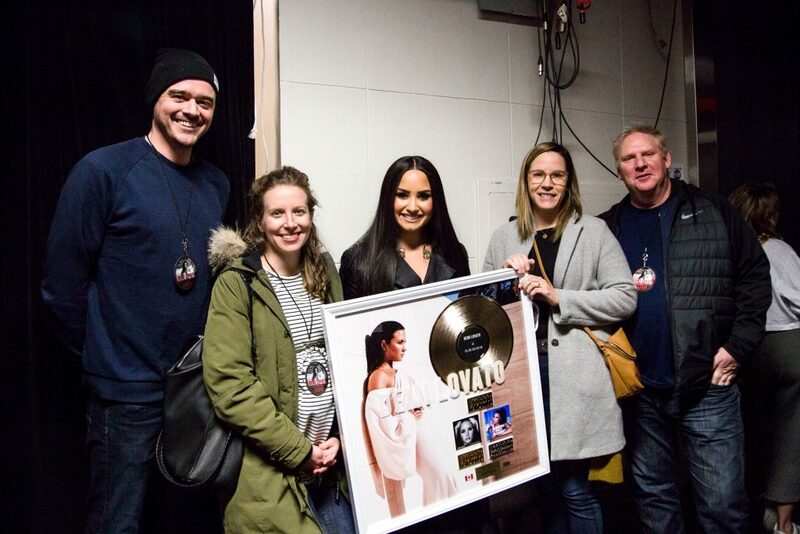 The album joins 2013 release Demi as her second Canadian Gold-certified album. Lovato has also received 6 solo track certifications in Canada, with “Sorry Not Sorry” now earning the highest certification level. Watch the music video for “Tell Me You Love Me” below. Bahamas will release a new album in 2018 entitled Earthtones, and will tour through North America beginning January 12 in Halifax, NS. The music video for “Lost In The Light” can be viewed below. Submissions for It’s Your Shot 2017 are now being accepted, as Canadian music company Slaight Music has officially opened the national songwriting and artist development competition. Launched in 2010, the content is open to all musical genres, and encourages artists to submit a song and/or video for a chance to win a Grand Prize valued at $100,000 in total. This year, Slaight Music is partnering with Hidden Pony/Universal Music Canada, providing the winning artist with recording, distribution, radio promotion, publicity, and marketing support, along with a professionally produced photo shoot, artist biography and two music videos. The winner will also receive business mentoring, performance opportunities, and brand development across the artist’s website and social media platforms. Past winners of the contest include Notifi (2016, Sony Music Canada), Kayla Diamond (2015, Cadence), Sam Drysdale (2014, Warner Music Canada), Jillea (2013, Universal Music Canada), Liteyears (2012, Maple Music), and Liz Coyles (2011, Maple Music). Submissions will be open until March 15, 2018, with the winning submission announced in May 2018. In its second year, the Toronto music industry Blue Jays game raised an incredible $4,404.75 to support the Unison Benevolent Fund and MusiCounts. This is nearly double the amount raised in the event’s inaugural year, where $2,100 was raised in support of the Gord Downie Fund for Brain Cancer Research. Jon Box of Universal Music Canada is the organizer of the annual event, and is already planning to surpass this year’s achievement in 2018. Congratulations to everyone who helped to organize the event, donated prizes for the raffle/silent auction and attended the game. Thanks also to Steam Whistle Brewing, who donated event space and staff for a pre-game get together, as well as $1 from each beer sold to support Unison and MusiCounts. Toronto music industry section up on the Jumbotron at last night's @bluejays game! Putting the fun in fundraiser in support of @musicounts & @unisonfund! MusiCounts celebrates musical excellence and puts musical instruments into the hands of kids who need them the most. Their mission is to ensure that all children and youth in Canada have access to music education. Unison Benevolent Fund provides counselling and emergency relief services to the Canadian music community. They are here to help professional music makers in times of hardship, illness or economic difficulties. 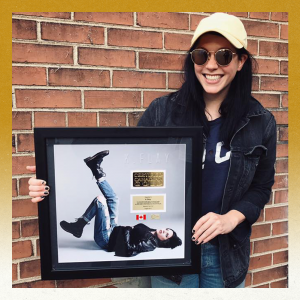 American singer-songwriter K. Flay was surprised with her first Canadian Gold Single Award plaque last Saturday for her breakout debut single “Blood In The Cut.” K. Flay was presented with the plaque by Universal Music Canada prior to her set on the Main Stage at Riverfest in Elora, ON, headlined later that evening by Gold-certified psychedelic rockers MGMT. K. Flay shared the exciting news with her fans through her social media channels. The video for “Blood In The Cut” can be viewed below.